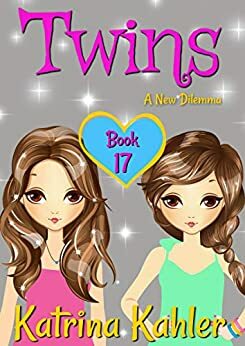 Finally, the summer camp has come to an end, but instead of the fun finish that Casey was expecting, she is faced with more drama, thanks to the troublesome Madison. The impact of this follows Casey home where she struggles to restore her relationship with Jake. Just as she thinks she has found the answer, Ali receives a surprise phone call, and this throws the twins’ final week of summer into chaos. A dilemma of huge proportions overwhelms the twins who find themselves challenged yet again. How will they deal with this new problem and what will be the outcome? You’ll have to read this next addition to find out; it’s another fabulous book for girls 9 -12 and beyond. This book was awesome, and I cant wait for the next one!!!! First of all, why does everyone say there is not enough action!!!! I agree with you Summer, this is not a comic book!! This book has the perfect amount of action for its genre. KK YOU ARE SO TALENTED!!!!!! Never stop writing!!!! The characters are so fun too!!!! I cant wait for the next book to come out!!! But also Kk where is the book sieries called wild child? Joy Lewis ........ Hello! Your reviews are so fun!!!!! We have a lot in common too! How old are you? Im 11. Summer……… Hi! You are really right about the action thing you mentioned in your review. And you seem really nice!!! Hi everyone my name is Berry so if you see my name it says amazon customer well keep reading to find out my name also plz give me a shoutout, Anyways now that i introduced myself lets talk about the book, why does meg have to be so annoying i just hope some one puts her in her place finally! well liam is trying to get casey to be his gf but she already has jake but he dont know dat. so madison is just another roonie and meg but in a different body. im actual jumping all over the walls cuz im so excited cuz twins book 18 is not out or wild child book 2 out so im literally jumping all over the walls cuz i cant wait for it to come out!!!! Joyce k, joy lewis, cherry, summer, smith smith, Zz. how old are you? im 12.
what would you rather win a new born puppy for free or a big florida house with 3 kittens and 3 puppys? ill pick the last 1.
hope you liked my review thx for reading my review bye pz give me shoutout name is Berry again if you forget. And i agree Summer, this does not need more action this is not a marvel or DC comic book. for what she was aiming for it was perfect. also... I think you should have Leim ( i am sorry i spelled that wrong ) be related to Meg noe THAT,THAT would be somthing. another thing KK PLZ COME OUT WITH THE SECRET BOOK FOUR!!!!!!!! so like i said yiu shoukd have L related to Meg (bc i cant spel lieam) OMG DID I SPELL THAT RIGHT.....?!! ANOTHER THING is whTAt id yiu SOMEHOW connected The Secret Mindereader Twins and Julia Jones with a mess uo from Time traviler......... no?... Oof and Lost girl too. so now im done with my rant you can live in peice (huehuehue) ano have a great day! 5.0 out of 5 starsok love all the books!